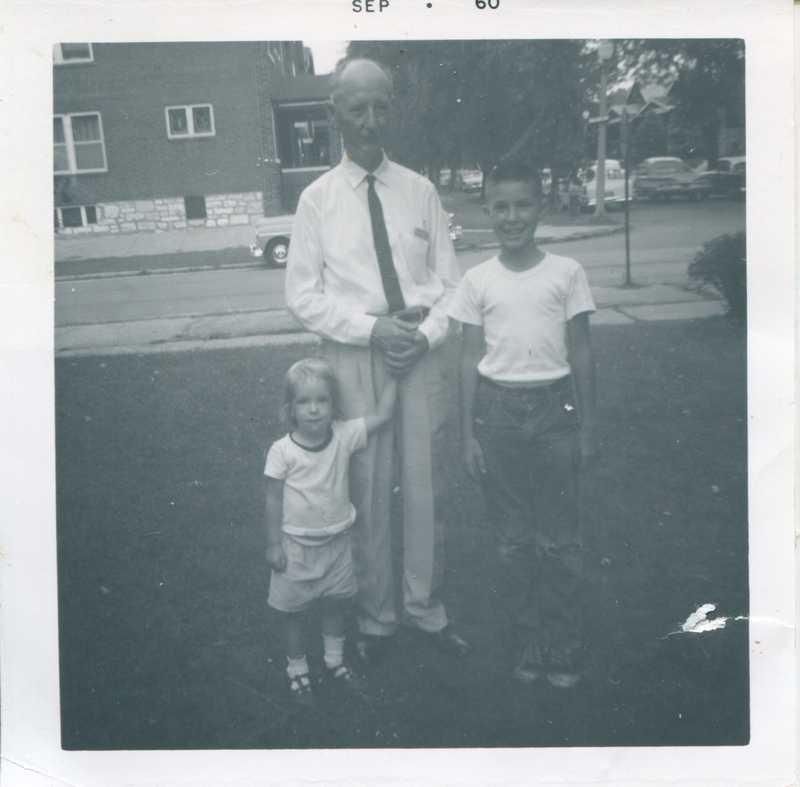 It’s been many years since my grandfather died, but today is his birthday, so I suppose it’s only natural that I should find myself thinking about him. He was a small man with a gentle, unassuming manner, and unlike the rest of my family, he wasn’t much of a talker. He lived, worked, and raised his family in the same neighborhood he was born in, practicing dentistry for forty-eight years in an office that was across the street from the house he lived in as a child. At family gatherings he could usually be found in the kitchen, seated at the table with the grandkids, drawing, playing games, or showing us how to make rows of little soldiers with his manual typewriter. He was infinitely patient with us, and always encouraging. If I couldn’t think of something to draw, he would simply look at my blank, white piece of paper and tell me that I had made a fine picture of a polar bear in a snow storm. He was a natural with children, and always ready to accept an invitation to a make-believe tea party. Shortly after marrying my grandmother, he moved into a two-bedroom brick bungalow on an unpaved street on what was then the outer edge of the city, where he lived for over fifty years. Those who knew him then swore they had seen him sitting quietly in the back yard, holding out breadcrumbs for the wild birds, which would actually eat them out of his hand. By the time I came along, the neighborhood around my grandfather’s house had become very urban, but he still put out bread crumbs each morning for the sparrows who gathered on his back porch, chirping in anticipation. My grandfather had a very strong, if somewhat old-fashioned, sense of what was proper, and he stuck to it religiously. He wore a suit every day, even after he retired from his dental practice. His idea of casual attire was to remove his jacket and roll up his shirt sleeves. Once, I saw him putting on his hat and suit jacket as he was heading out the back door, and asked him where he was going. He answered, “I’m going to take out the trash.” He didn’t understand, or care to understand, the more casual culture that surrounded him in his senior years, and continued to refer to almost everyone as a lady or a gentleman long after those terms had gone out of style. 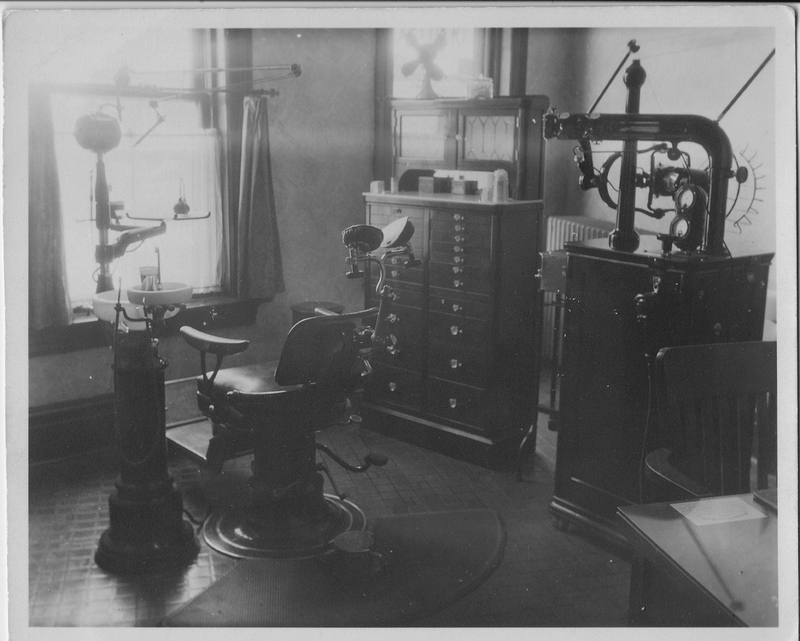 His dental practice was very busy, but not exactly profitable, as my grandfather rarely raised his rates. He knew that most of his patients could not afford to pay very much for their dental care, and he charged them accordingly. “Doc Jones” was well known and liked in his neighborhood, and for good reason. I don’t think he ever felt that he was making a personal sacrifice by keeping his rates low, as he lived very modestly by choice. His life consisted of his dental practice, his family, his friends, and his church, and he seemed quite content. Sometimes, when my life seems to be a bit too complicated or I am unhappy because I think I need to have more of this or that, I try to think of my grandfather and the simple way that he lived his life, and to use it as an example for my own. Because I can’t really think of a better role model….. Your grandfather sounds like a very special gentleman and that’s a rare quality these days. He came from a generation that is long gone but whose examples live in forever. A beautiful tribute to your grandfather. Thank you! He was very special…kind and gentle, but also strong. And he did set a great example just the way he lived his life, and especially how he treated others. Quietly compelling-a truly lovely post. Thank you! It was a different time. There are times when I wish people would go back to dressing well (no PJ’s in public) and formal manners. My husband’s grandfather always wore his suit to dine at home and mine never left the house with out his tie on. Loved your post…grandparents are the best! Thank you! Yes, grandparents are wonderful, and they leave us all too soon. And I agree that a little bit of formality was a good thing. It showed respect for others, as well as ourselves, I think. Your grandfather sounds like he was a true gentleman. You must miss him dearly. Yes, he was! And I do miss him. I was only 21 when he died, which was much too soon. Thanks for the comment! Thank you! You are always so nice! What a lovely post Ann. Grandpas hold such a special place in our hearts. We were blessed to have special ones. Yes, I was very blessed to know him. He left me a great example to try to live by…. What a lovely tribute to what was obviously a wonderful man! What a wonderful tribute to your grandfather! I can tell that he had influence on your life that still lingers. Thanks for the recent visit to my blog. I have enjoyed exploring yours. You will do just fine in middle-age! I have drifted into something else…older-age? Enjoy every day! Thank you! I enjoyed your blog, too! The photos are very good. And don’t you think we need a category for that age group just past middle age, but not yet ready to be called senior citizens???? I absolutely love this post. So wonderful to get a glimpse into the life of a person that seemed so grounded. Thank you for sharing! Yes, he was a wonderful man, and I still miss him! A Life Well Lived is such a great post, looking back and appreciating the life of a grandfather! Thank you for the reblog! I really appreciated it! Loved your blog, too, and am now following!